The popularity of cruise holidays is rapidly growing. 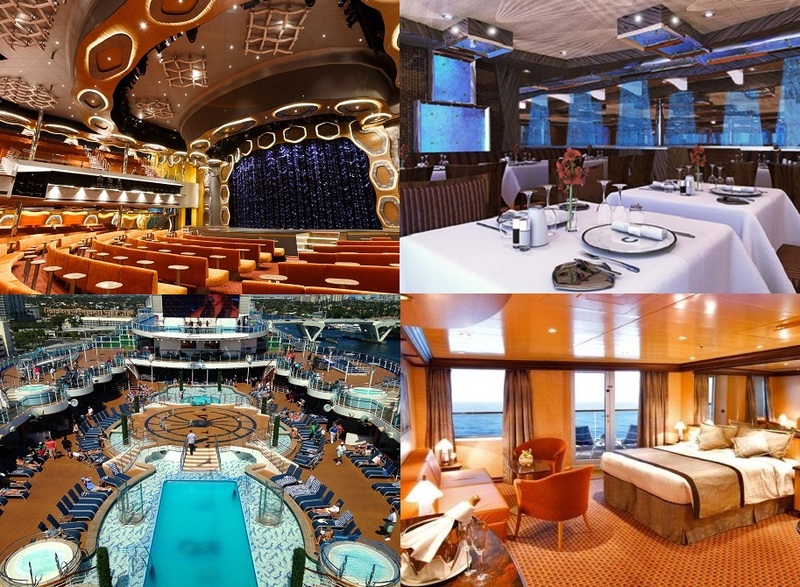 The reason is that cruises offer great value for money, variety, convenience and comfort. 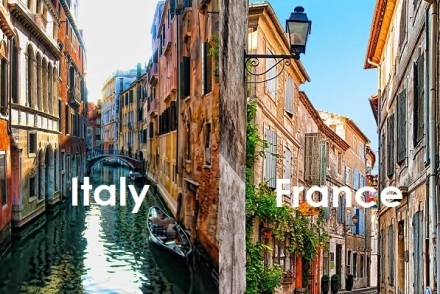 Western Mediterranean cruises, which include stops in Italy, France and Spain, are the perfect introductory experience for first time travellers to Europe. Mediterranean cruises are rewarding in many ways, including: educationally, visually, historically, architecturally and culturally. One of our most popular Mediterranean cruise packages is a seven day cruise that starts in Rome and visits La Spezia (Italy), Savona (Italy), Marseille (France), Barcelona (Spain) and Palma de Majorca (Spain) before heading back to Rome. Below is a day by day breakdown of what you can expect to see and do on this Mediterranean adventure. Your Mediterranean cruise starts with a one night stay in the Eternal City, Rome. Rome is the world’s biggest open air museum where ancient marvels, world heritage sites and priceless works of art can be seen around every corner. One day is not nearly enough to see all of Rome’s marvels. We would recommend an extra night or two in the city before or after the cruise. This will enable you to see more of Rome’s main attractions including: the Sistine Chapel, Colosseum, Trevi Fountain and St Peter’s Basilica. Stroll around the city and enjoy the food, ambience, culture and history before retreating to your 4 star hotel for the night. The Costa Diadema is the ship on which you’ll be sailing the Mediterranean from one port city to the next. 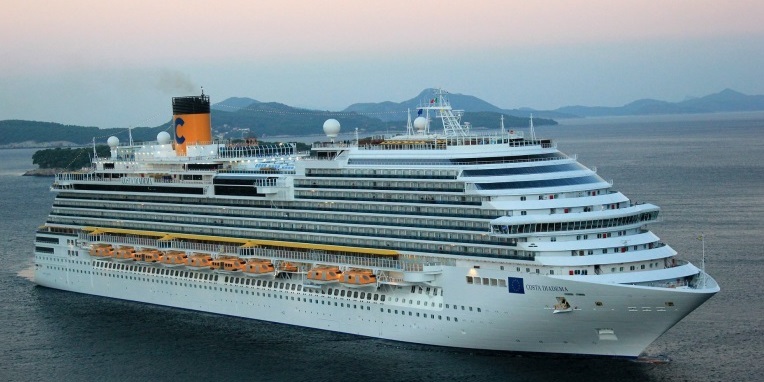 The 3 724 passenger Costa Diadema, nicknamed the Queen of the Mediterranean, is Costa Cruises’ flagship cruise liner. You can expect to see and experience the best of Italy whilst on board the ship including: pizza, pasta, prosecco and gelato, fashionable décor and dazzling Italian entertainment. The ship’s three-level theatre presents four live productions nightly. The ship’s three large dining rooms; the Adularia, Fiorentino and Corona Blu all serve authentic Italian cuisine in a buffet style. There are also three a la carte restaurants where passengers can dine at an additional cost. The ship has a 4-D cinema that shows various short movies and there are also normal cinemas, which screen feature films. 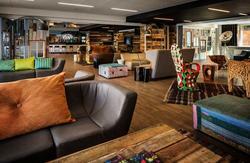 The ship offers a bustling night life that revolves around the piano bar and discothèque. The first night of the cruise is spent at sea, sailing from Civitavecchia (Rome) to La Spezia. 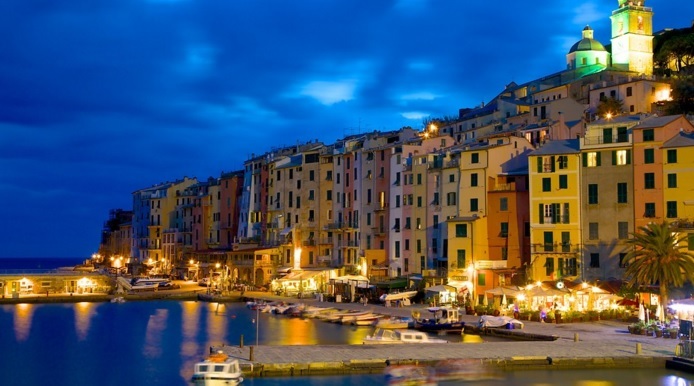 The port town of La Spezia is the nearest point of access to the world famous Cinque Terre. The Cinque Terre is a collection of five towns situated on the Italian Riviera. The five towns on the Cinque Terre are Monterrosso al Mare, Vernazza, Manarola, Corniglia, and Riomaggiore. The colourful cliffside towns of the Cinque Terre are easily accessible by ferry or train from La Spezia. The Cinque Terre is best explored by foot along the trail that runs through the five towns. There are regular ferries available from La Spezia to Monterrosso, the largest of the Cinque Terre’s five towns. The cheapest and easiest way to explore the Cinque Terre is to buy a day pass for the train, and jump off at the towns that you wish to see. Remember to get back to the ship before it departs to enjoy dinner and entertainment, before sailing off to your next destination. Savona is one of Italy’s largest ports, exporting famous Italian cars like Ferrari and Lamborghini to all over the world on a daily basis. The ancient medieval centre of Savona remains well preserved. The impressive Priamar fortress is the medieval town’s most impressive structure. The medieval centre also contains the Cattedrale di Nostra Signora Assunta, a must see for all visitors to Savona. The first home of Christopher Columbus, who lived in Savona during his youth, can be visited in the countryside just outside Savona. Day trips to Genoa from Savona are also very popular. Genoa has for centuries been a rich and powerful Italian trade centre. The medieval alleyways of Genoa are lined with beautiful buildings, the most impressive of which are the Palace of Doges and the Teatro Carlo Felice. The cosmopolitan city of Marseille is the oldest city in France, having been founded over 2600 years ago by the Greeks. The city has everything from cultural diversity and ancient history to gorgeous coastal scenery. One of Marseille’s most famous, or should I say infamous, attractions is the Chateau d’If, the island prison in the middle of the harbour that is featured in the adventure novel The Count of Monte Cristo. History lovers should not miss the opportunity to visit the clifftop Basilique Notre-Dame de la Garde. Marseille is also the gateway to Provence. Day trips to the lavender fields and olive groves of Provence are highly recommended. From Marseille the cruise moves from one cultural melting pot to another, as it sails to Barcelona. In Barcelona you will be spoilt for choice when it comes to experiencing famous attractions. There is not enough time in the day to see everything that Barcelona has to offer like Las Rambla, Sagrada Familia and Park Güell. We would recommend that you visit one or two landmarks in the morning and then head to the beach. Barcelona’s beach is one of the best city beaches in the world. If you aren’t really a beach person then head to Las Rambla, the city’s pedestrian walkway, where you will find the most lively restaurants, bars and cafés in the city. We recommend that you buy a ticket for the hop on hop off tourist buses. The buses stop at all of the city’s major attractions, you can hop off wherever you want and get back on and head to the next attraction when you’re ready. Barcelona can be a little overwhelming to the first time visitor. Try to take it all in without rushing from one place to the next. In Barcelona, history and beauty is all around you, relax and really enjoy it. 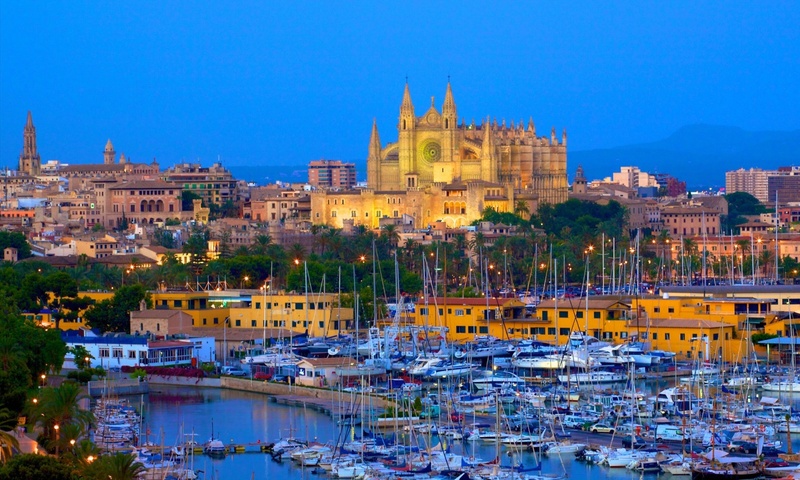 Palma is the capital of the Spanish island of Majorca. The island is well known for its sunny beaches and its beautiful historic quarter. The Palma Cathedral, Lonja fish market, Almudaina Palace and Plaza Mayor are this city’s must see sites. Here you would most likely want to spend most of your time on the beach, snorkelling along the many coves or lazing in the sun with a cocktail in hand. There are resorts from which you can rent a beach chair and an umbrella for the day. If you prefer exploring, we recommend you rent a scooter from one of the local rental companies and ride along the coast or up the hills, to explore the island a little. This will be the last day of the cruise that you will be able to explore a new destination, so try to make the most of it. The last day of the cruise is spent at sea. The ship will be cruising back to Civitavecchia (Rome) for the entire day, which means you will have time to relax on board and enjoy some of the many facilities on offer. You can choose to lie next to the pool, gamble in the casino, watch a movie, have lunch with the family or just relax in your cabin for the day. The ship is yours to explore on the final day, relax and enjoy the last bit of Mediterranean sun before heading back to Rome. 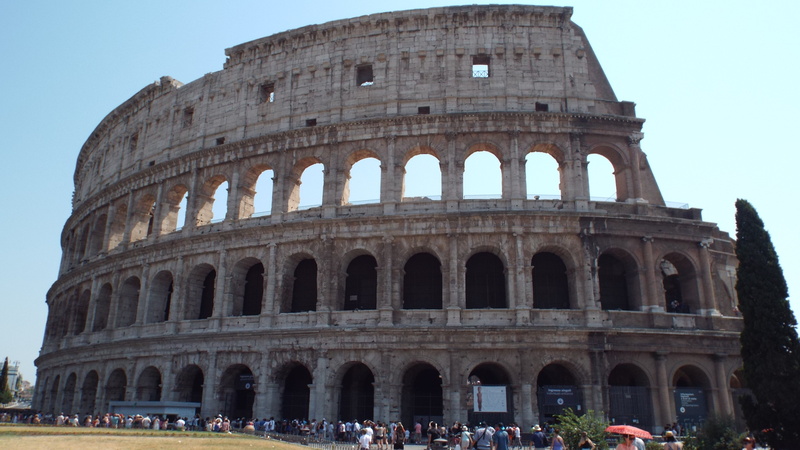 After an adventurous eight days of discovering the Mediterranean and exploring some of Italy, France and Spain’s most beautiful port cities you will find yourself back in Civitavecchia (Rome) where you will disembark on the ninth day. You can either head back home, or spend an extra couple of days exploring Rome, Italy or Europe after your cruise, the choice is yours. 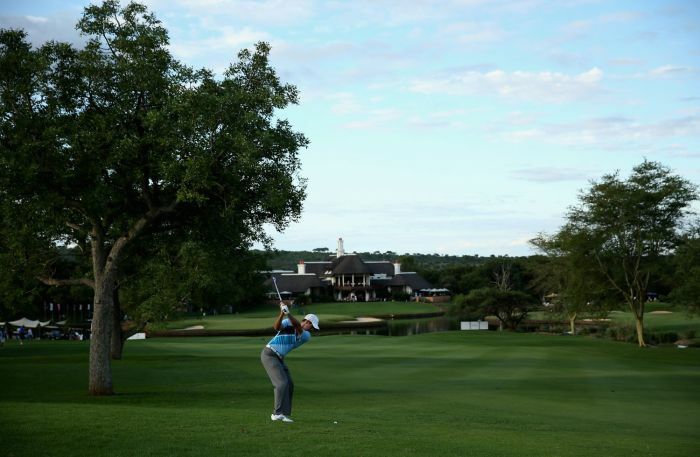 Honeymoon Destinations: Safari, Beach, City or Local?